I never went to Engineering school. My undergrad is Computer Science. Despite that I’ve always wanted to learn more about Engineering. John Kuprenas and Matthew Frederick have put together a book, 101 Things I Learned in Engineering School, which contains some of the big ideas. (This book) introduces engineering largely through its context, by emphasizing the common sense behind some of its fundamental concepts, the themes intertwined among its many specialities, and the simple abstract principles that can be derived from real-world circumstances. It presents, I believe, some clear glimpses of the forest as well as the trees within it. Here are three (of the many) things I noted in the book. #8 An object receives a force, experiences stress, and exhibits strain. 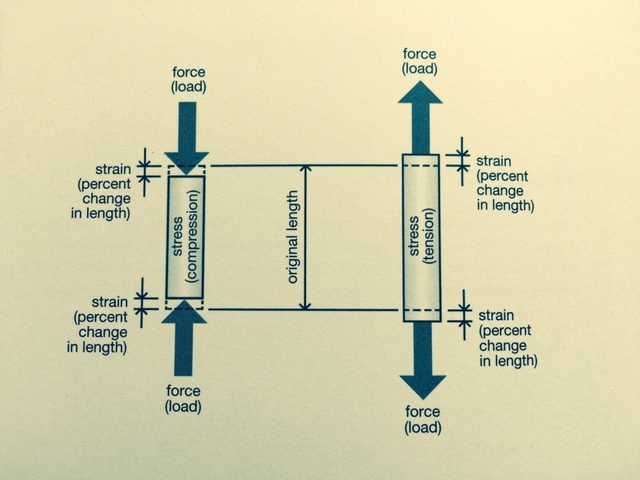 Force, stress, and strain are used somewhat interchangeably in the lay world and may even be used with less than ideal rigor by engineers. However, they have different meanings. A force, sometimes called “load,” exists external to and acts upon a body, causing it to change speed, direction, or shape. 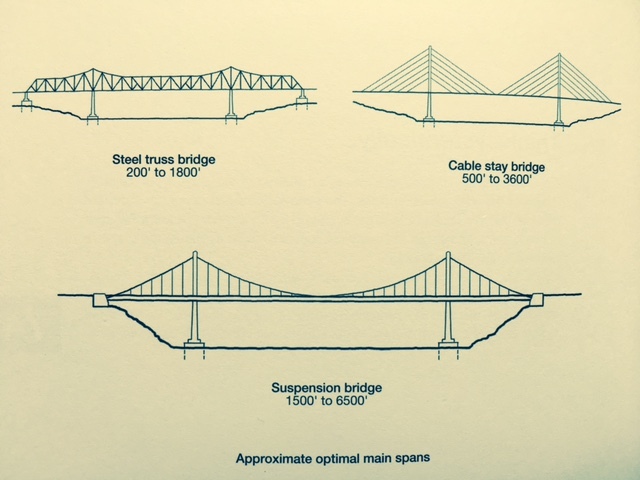 Examples of forces include water pressure on a submarine hull, snow loads on a bridge, and wind loads on the sides of a skyscraper. Stress is the “Experience” of a body—its internal resistance to an external force acting on it. Stress is force divided by unit area, and is expressed in units such as pounds per square inch. Strain is a product of stress. It is the measurable percentage of deformation or change in an object such as a change in length. #48 Early decisions have the greatest impact. Decisions made just days or weeks into a project—assumptions of end-user needs, commitments to a schedule, the size and shape of a building footprint, and so on—have the most significant impact on design, feasibility, and cost. As decisions are made later and later in the design process, their influence decreases. 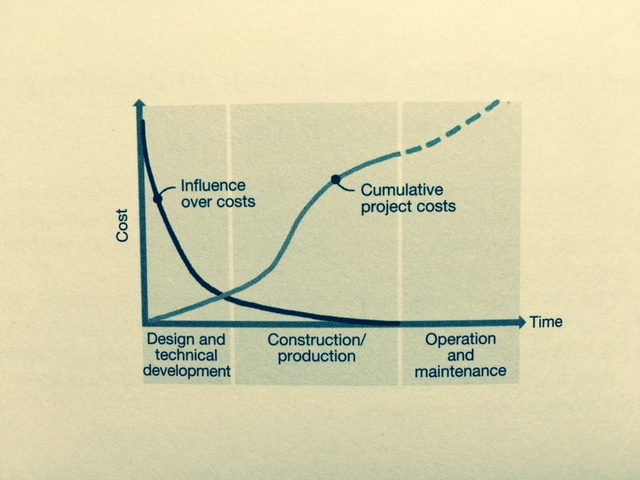 Minor cost savings sometimes can be realized through value engineering in the later stages of design, but the biggest cost factors are embedded at the outset in a project’s DNA. Everyone seems to understand this point on the surface and yet few people consider the implications. I know a lot of people who make their career on cleaning up their own mess. That is, they make a poor initial decision and then work extra hours while running around with stress and panic as they clean up their own mess. In the worst organizations these people are promoted for doing an exceptional job. Proper management of early decisions produces more free time and lower stress. #75 A successful system won’t necessarily work at a different scale. An imaginary team of engineers sought to build a “super-horse” that would be twice as tall as a normal horse. When they created it, they discovered it to be a troubled, inefficient beast. Not only was it two times the height of a normal horse, it was twice as wide and twice as long, resulting in an overall mass eight times greater than normal. But the cross sectional area of its veins and arteries was only four times that of a normal horse calling for its heart to work twice as hard. The surface area of its feed was four times that of a normal horse, but each foot had to support twice the weight per unit of surface area compared to a normal horse. Ultimately, the sickly animal had to be put down. This becomes interesting when you think of the ideal size for things and how we, as well intentioned humans, often make things worse. This has a name. It’s called iatrogenics. Let us briefly put an organizational lens on this. Inside organizations resources are scarce. Generally the more people you have under you the more influence and authority you have inside the organization. Unless there is a proper culture and incentive system in place, your incentive is to grow and not shrink. In fact, in all the meetings I’ve ever been in with senior management, I can’t recall anyone who ran a division saying I have too many resources. It’s a derivative of Parkinson’s Law — only work isn’t expanding to fill the time available. Instead, work is expanding to fill the number of people. There is an optimal size to See’s. Had they retained that $1.9 billion in earnings they distributed to Berkshire, the CEO and management team might have a claim to bigger pay checks, they’d be managing ~$2 billion in assets instead of $40 million, but the result would have been very sub-optimal.